Take a deeper dive into understanding the key data points that will help you move the needle with your SEO investment. This eBook goes beyond the basics of Search Engine Optimization and gives actionable items around Prioritization, Content Development and the Analytical data points you should be monitoring. Learn about the growing practice of Interactive Investment Management and how to manage your online spend in a manner that will produce higher ROI. 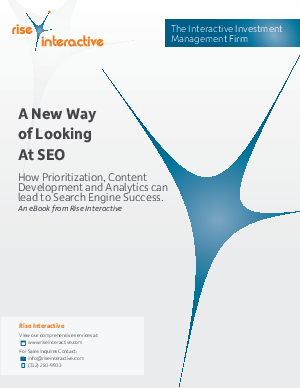 This eBook will outline the steps needed to create your own SEO roadmap to success.